So sorry this post is late. I haven't been well lately and my energy levels are non existent. Hopefully I am near to finding a diagnosis as I have felt much too ill to craft and as most of you know, that's not like me at all. So on to my card for my beloved INKY CHICKS, yay! 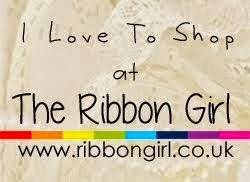 The theme this time is RIBBON and/or Lace. Here's little Tilda in her garden, coloured as usual with distress inks and with a glittery spade. The papers are from two different Maja collections, but you can easily do this with Maja as the colour range is so similar. The card was cut with GoKreate dies and stitched. I have used some embroidered lace which I gathered and then added a border. 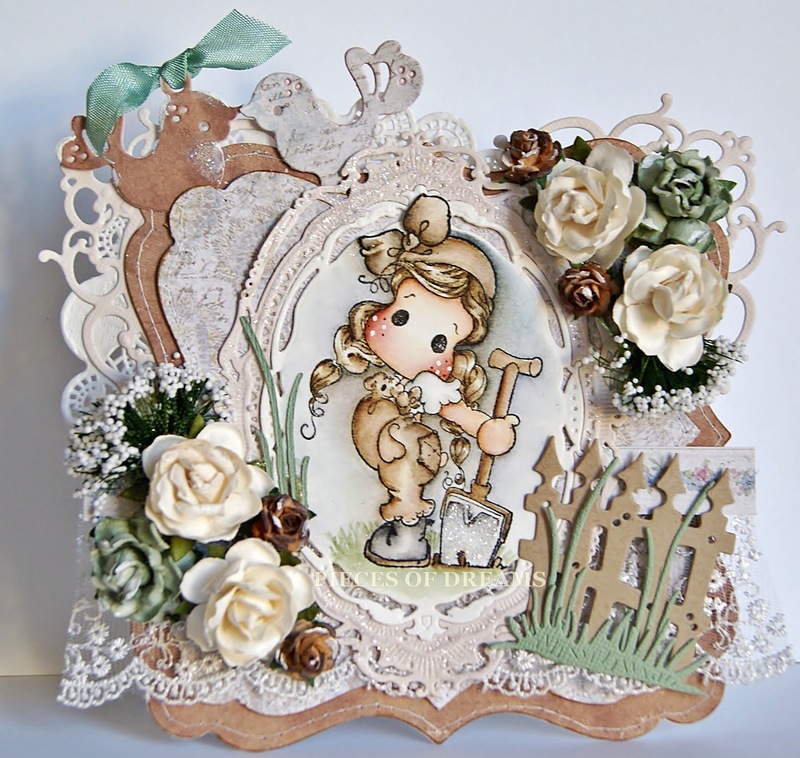 The fence, grass and stems are from Magnolia and the flowers are from Live and Love Crafts. It will soon be Spring and we will all be able to be in our gardens like Tilda. I can't wait myself ! Have a lovely, sunny week. 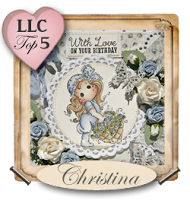 It's time for me to share my DT card for SIMPLY MAGNOLIA. The theme is Clean and Simple or Fully Loaded, it's up to you. I always choose Fully Loaded. The papers are Pion and as usual I have inked and stitched them, using a Joy Craft die for the flower border. I painted "Tilda Hiding Rose" using distress inks and surrounded her with bead string. The bow and embellishments are from the Ribbon Girls. The leaves are Magnolia and all flowers are Live and Love Crafts. I hope you enjoyed your Valentine weekend. 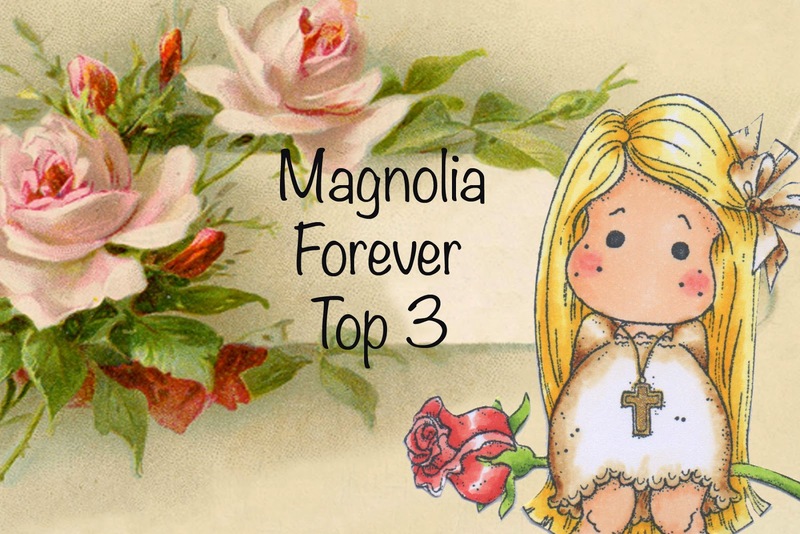 We are continuing our challenge at ALL ABOUT MAGNOLIA and this card is for the half way reminder. The theme for February is ALL ABOUT LOVE. 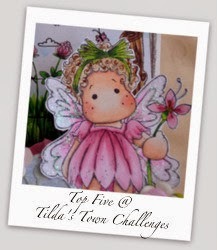 I chose one of the latest Tilda stamps for my card and painted her with distress inks. 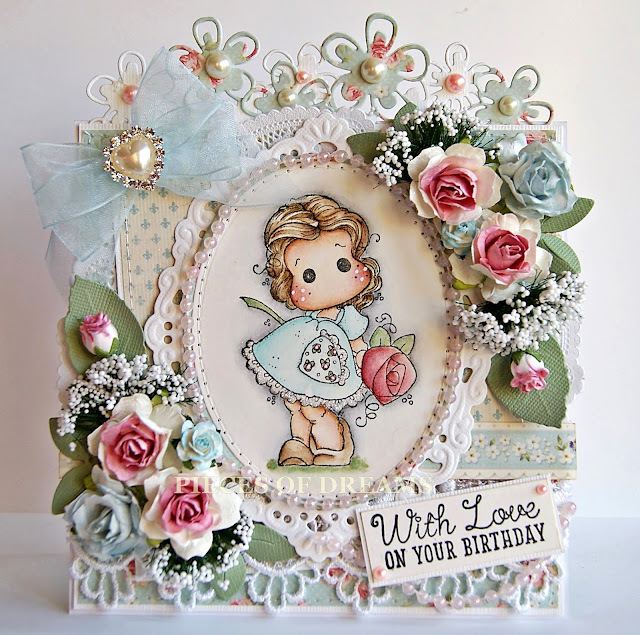 The cloud and wooden heart/bird are smothered with Glamour dust...love this stuff! The papers are Pion from a Christmas collection, but the angels seem to match the stamp, I added cheesecloth and pink pearl string, lace and scrunched seam binding. The flower die cut above the card is JOY CRAFT with added pearls, the leaves are Magnolia and the flowers are from Live Love And Love Crafts (papers too) with some painted gesso. Well I hope you like my card this month and feel inspired to join our challenge. Wonderful news! I am officially an Inky Chick! 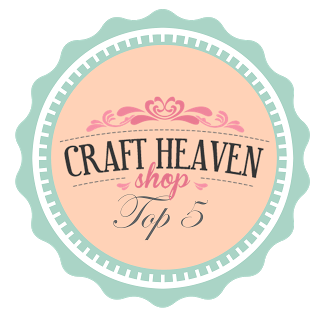 Well I admit to be a little bit more of a chick, more a mother hen really, but so happy to be here and very proud to be part of this challenge blog, where every single DT member is so very talented. 'cos it's Valentines Day very soon! Here is my first card for you. 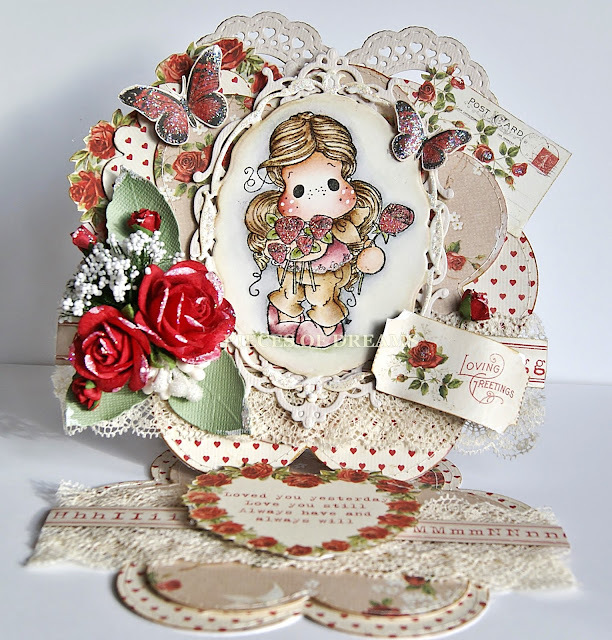 This card was made with the new Valentine papers from Pion. I cut most of the embellishments out from the papers and all I had to do was ink the edges and then add some sparkle with my Stickles glue. I've used Magnolia's "I Give You a Rose Tilda" and painted her with distress inks.